Preview Day Four: Title day arrives, who will emerge victorious in Doha? Three days of exhilarating table tennis action have passed and now the big day has finally arrived in Doha with the four senior tournaments at the Seamaster 2018 ITTF World Tour Platinum Qatar Open drawing to a close on Sunday 11th March. Here's a quick look at the programme for the final day of play in Doha. The action gets underway from 14.00pm (local time) as two partnerships from China battle it out in the Women’s Doubles final. Last year in Doha Wang Manyu received a gold medal in the category alongside Chen Meng and one year on she will have the chance to repeat that success with a different partner, Chen Ke. However, the opposite pairing of Chen Xingtong and Sun Yingsha will take confidence into the final having beaten Wang Manyu and Chen Ke at the same stage of the Seamaster 2018 Hungarian Open in January. Following the conclusion of the Women’s Doubles final comes the Men’s Doubles title contest: Jun Mizutani and Yuya Oshima have performed exceptionally well as a pairing in Doha, but the unseeded duo will have to produce their biggest effort yet in the final with second seeds Fan Zhendong and Xu Xin the hot favourites to lift the trophy. Next up is the first singles final of the day and its got all the makings of a classic as Wang Manyu and Liu Shiwen meet face-to-face for the Women’s Singles title. This will be the first time that Wang Manyu and Liu Shiwen have opposed one-another on the ITTF World Tour stage, but they did meet last year at the Marvellous 12 competition in Shenzhen where the latter player prevailed. Liu Shiwen may hold the slight head-to-head advantage but can Wang Manyu make it back-to-back title successes on the 2018 ITTF World Tour? Rounding off day four is an intriguing duel between China and Brazil with Fan Zhendong and Hugo Calderano fighting it out for the Men’s Singles gold medal in Doha. Named as the top seeded player heading into the competition Fan Zhendong has lived up to that honour well so far and will fancy his chances in the final, especially off the back of a four games to one win against Hugo Calderano at the Seamaster 2018 Hungarian Open. 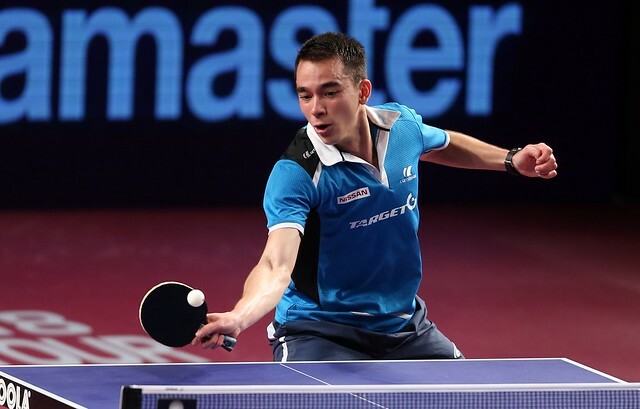 But Calderano has produced some of his best table tennis to date in Qatar with victories against the likes of Timo Boll, Tomokazu Harimoto and Lin Gaoyuan. Can the Brazilian pull off another major upset?